One handed controller designed for the original Playstation One. 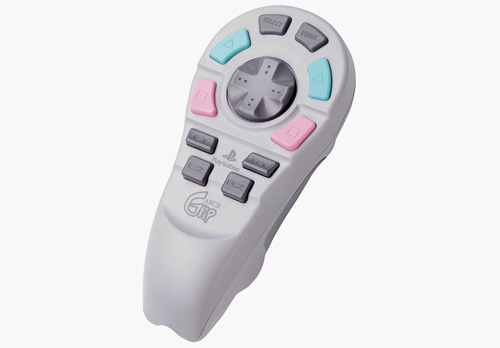 This works with some Playstation 2 games too, but not those that require use of the analogue sticks. With additional controller adapters, this controller can be used with PCs and older games machines. Please feel free to e-mail for further information and for ordering details.